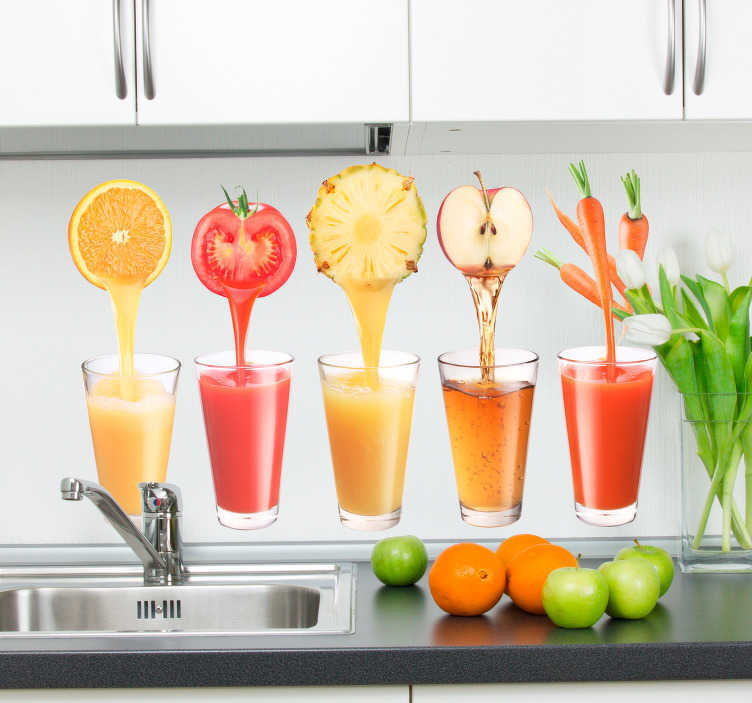 If you like healthy and natural drinks this self adhesive photograph is ideal for your wall decal. A creative design from our collection of tile stickers. You can now decorate your kitchen and create an environment where you follow your eating healthy plan! Keep yourself motivated with such a colourful and high quality vinyl design. Personalise any space at home! This design of different juices is easy to apply and remove. It leaves no residue upon removal. Available in various sizes.